A significant portion of humanity has a hard time choosing the right outfits. 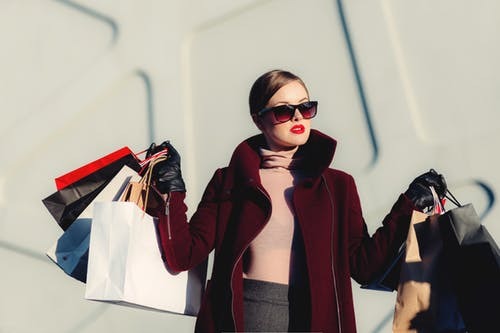 They usually tend to spend mounds of money just to improve the way they look by buying more expensive clothes despite not knowing that they are just a few steps away from improving their fashion style. Buying more and more clothes will just end up causing a dent in your wallet or account and will just end up filling your cupboard. Thus here are a few quick style tips which you can use thall benefit you significantly. Whether you are dressing up for an event, a meeting or just going out casually with friends it is always essential to make sure that what you are wearing fits you perfectly regardless of the type of clothing. Where clothes like jeans and shirts can be folded they usually don’t make a positive impression on the person you are meeting and wearing an oversized suit to a meeting is a sure of way of showing how ill-prepared you are for the meeting. Thus getting a few items from your wardrobe tailored can help your clothes fit you better and make it appealing to others. Always to dress to impress. No matter the occasion or the event, dressing the best is a sure way to stand out among the crowd. This not only helps create a great impression about you on others but also helps you to feel confident and powerful. For instance, you go and to speak to any person at the event; you already have gained their attention with the help of your attire. Any outfit, whether it is a suit, jeans or even tracks they all seem too incomplete without the right type of shoes matching them. Many people buy expensive shoes which are perfectly fine as it depends on their capability, the part which most people forget is to maintain those shoes, and over time the boots simply wear off. Having clean shoes for the right attire helps to show people that you as a person are detail oriented and precise when it comes to creating your style statement. Accessories are essential to any form of clothing as they could be from watches to sunglasses to even a carry bag or a purse. All these little things play a huge factor when it comes to improving your fashion style. Accessories are best liked when they are worn with a limit. The most commonly known saying “Keep it Simple” fits perfectly in this point. All things asides, wearing perfectly fitting clothes and wearing appropriate accessories can only help you to a certain limit of improving your fashion style. Along with all these, you must also ensure that you are fit at all times as what’s the point of buying perfectly fitting clothes if you are on the edge of outgrowing them due to an unhealthy lifestyle.